I love throwing parties, especially themed ones, by color or event. Yellow and grey seem so fresh for summer. 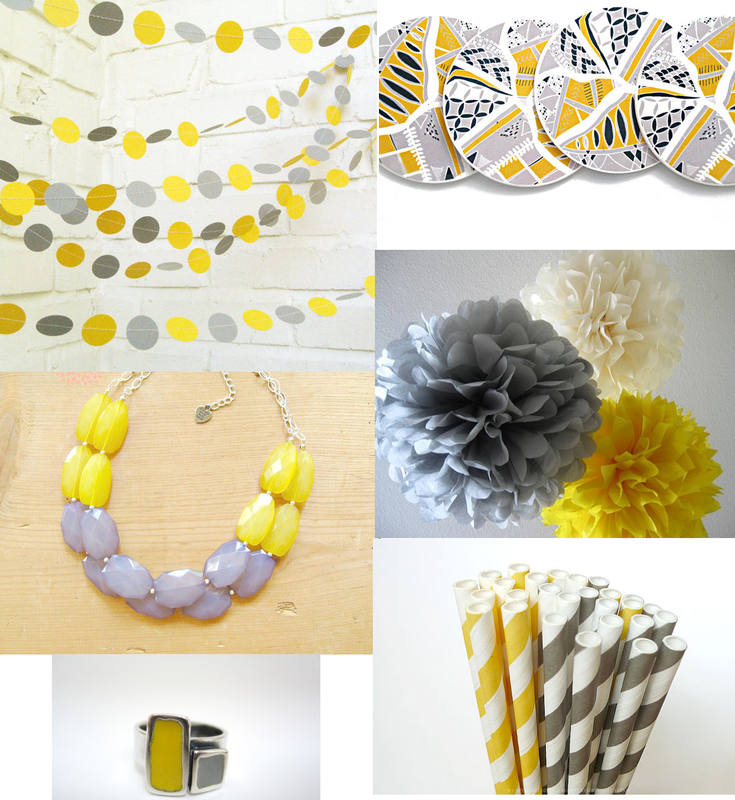 Here are my ETSY picks for yellow and grey party decorations and some pretty accessories for the hostess. Enjoy!